One of the singular highlights of the holiday season for us here at Lux Catering and Events is the joy that comes with gift giving. 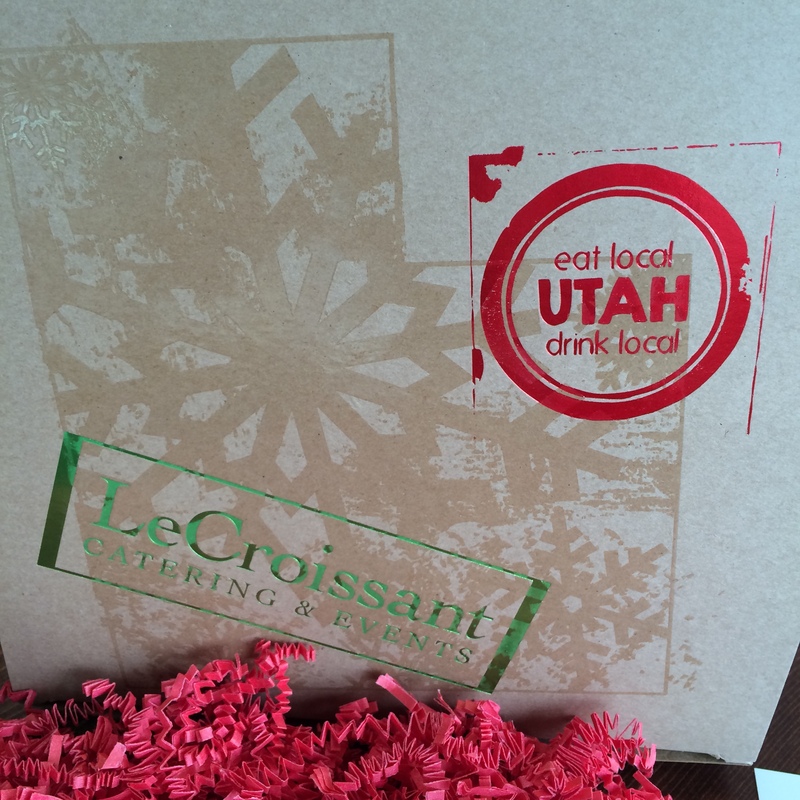 Every year, we put a lot of effort and thought into our holiday gift to be given to our friends and business partners. Last year, we had a fantastic time creating our cookbook filled with our favorite and most delicious recipes. This year, we wanted to celebrate hearty, heartwarming foods that featured local farmers and food artisans. 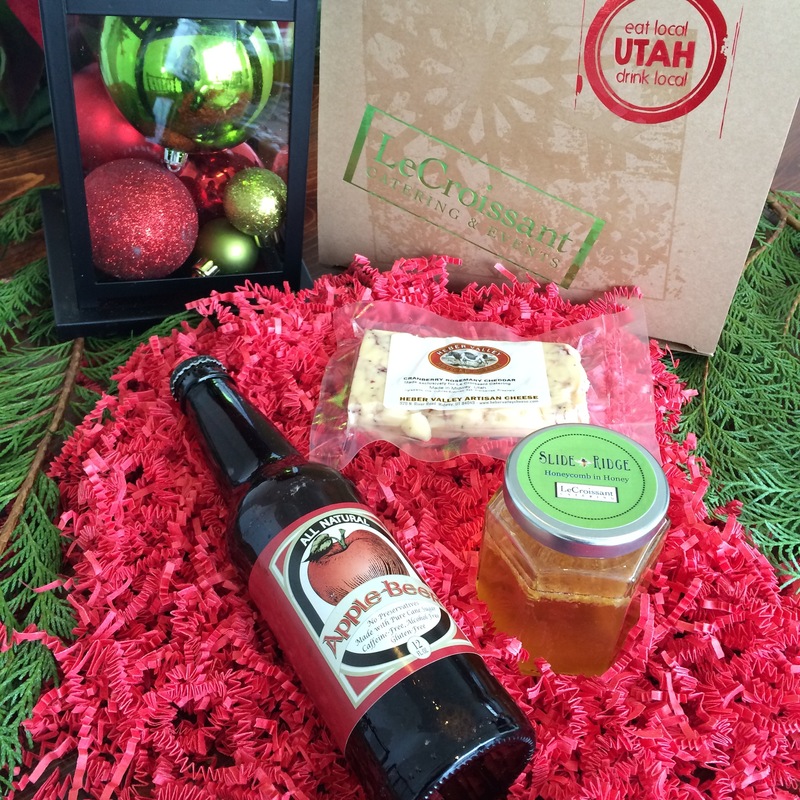 Our gift boxes featured a bottle of locally made Apple Beer, a bottle of Slide Ridge’s Honeycomb Honey and a special serving of Heber Valley’s Artisan Cheese. 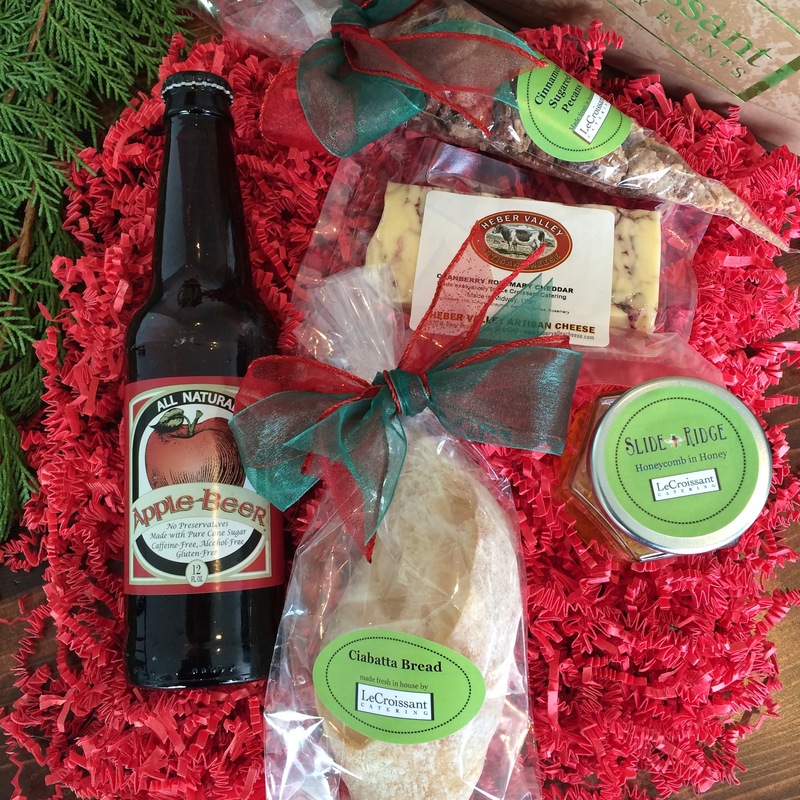 Our amazingly talented head chef, Jane Hamilton, worked with Heber Valley Cheese to create a unique flavor of Cranberry Rosemary Cheddar! Additionally, we threw in some house made ciabatta bread and cinnamon sugar pecans. Yum! We can just imagine sitting in front of a warm fire enjoying these treats. We didn’t stop at the food when it came to featuring local artisans. Our boxes were custom made by Dingman Professional Printing that featured simplistic yet festive designs advocating for local patronage designed by our talented Event Coordinator, Chris Sanchez. 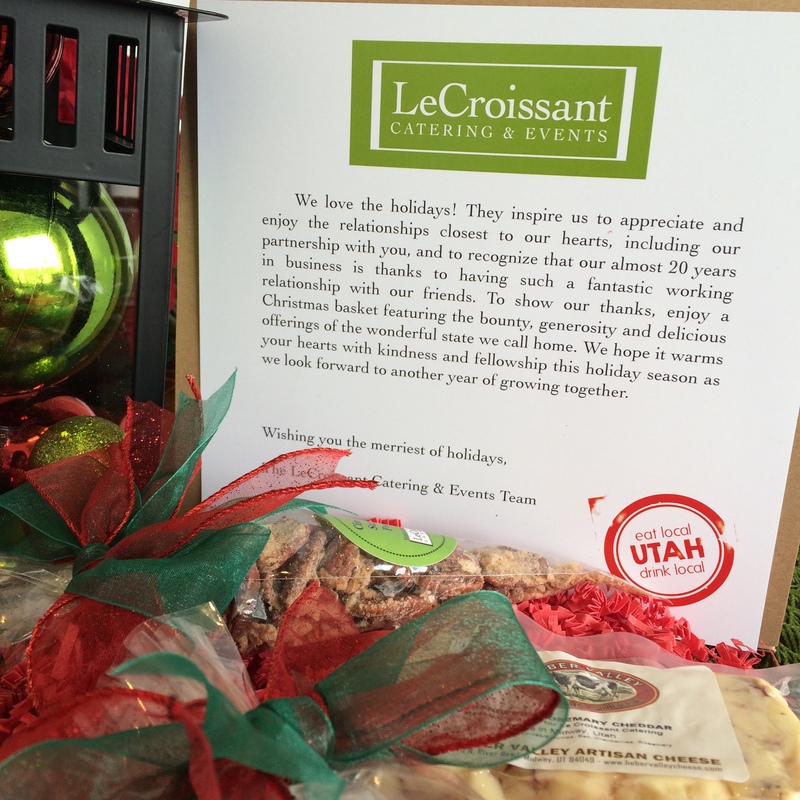 This was a team effort across the entire LeCroissant company. It was our way of showing we are so grateful for our business partners, whom we’ve come to see as friends. We recognize our continued success is due to their business and partnership. As we look forward to the future and all our big plans, we could never forget those who’ve helped us to grow and to deeply appreciate them. To our friends and business colleagues: thank you for another great year! If you have not yet received your box, please be patient as we have many friends we wanted to share our gratitude with. 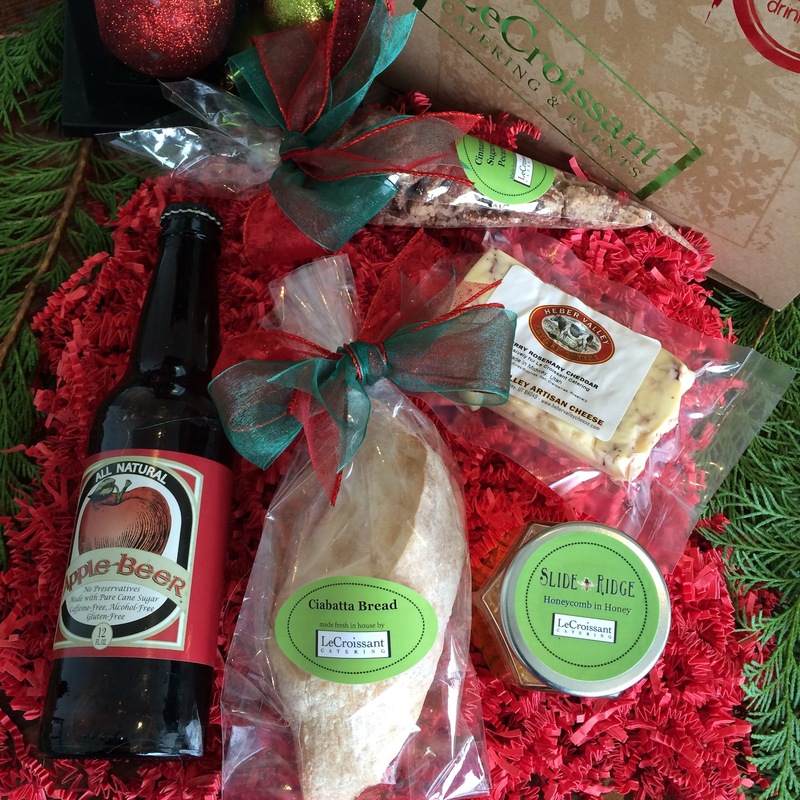 If you just can’t wait to taste all these treats, please give us a call! We hope you enjoy a heartwarming and merry Holiday season filled with giving and love! Merry Christmas from the Lux Catering and Events team!